The 88 Project would like to thank the Indiana Journal of Law and Social Equality at the Indiana University Maurer School of Law for raising awareness about Vietnamese prisoners of conscience Tran Huynh Duy Thuc and Nguyen Tien Trung, who are serving 16 and seven-year sentences, respectively. 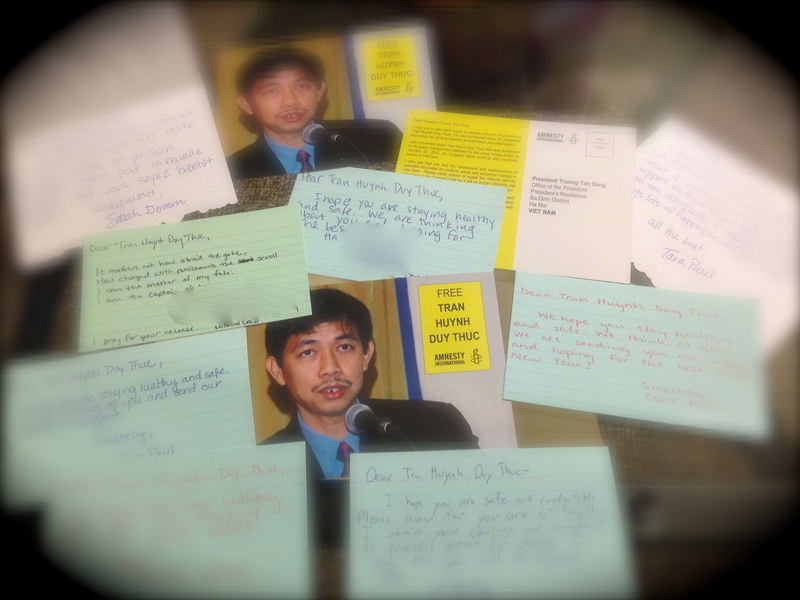 The group signed cards courtesy of Amnesty International that detail a message about the activists and their unjust imprisonments. These cards will be sent to the President of Vietnam. 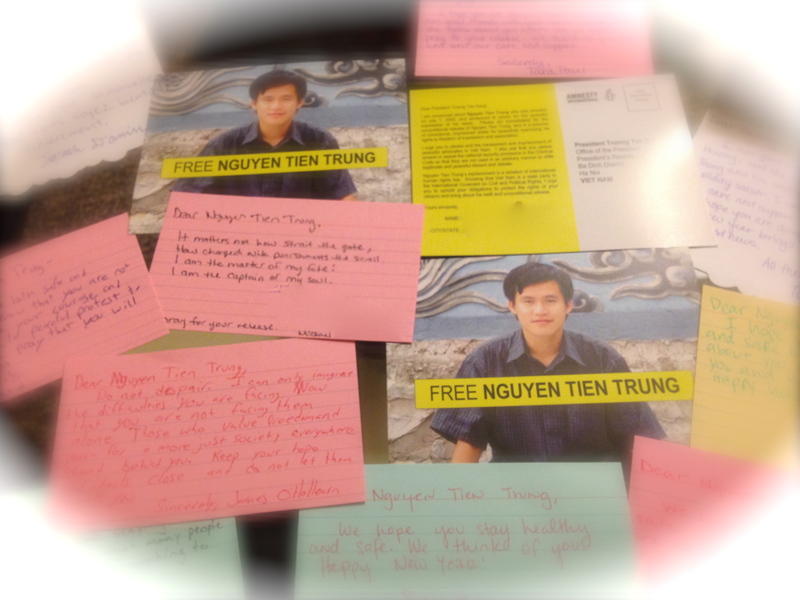 The group also wrote cards of support to send to the imprisoned activists and their families in order to show their solidarity.